Following the blast that shook the Roxas Night Market in Davao City on Friday, September 2, Laging Handa PH, the Crisis Communications Center of the Palace issued an advisory on the proper decorum in case of a bombing incident. Avoid unattended cars and trucks; they may contain explosives. Stay away from damaged buildings to avoid falling glass and bricks. Move at least 10 blocks or 200 yards away from the damaged buildings. Follow directions from people in authority. Call 911 once you are in a safe area but only if police, fire or emergency medical services have not arrived. In a statement given to press, the mayor declared, "The measure of success of terrorism is how long it takes for the victims to stand up. We will stand up now." The Roxas Night Market has also resumed operations after the blast. 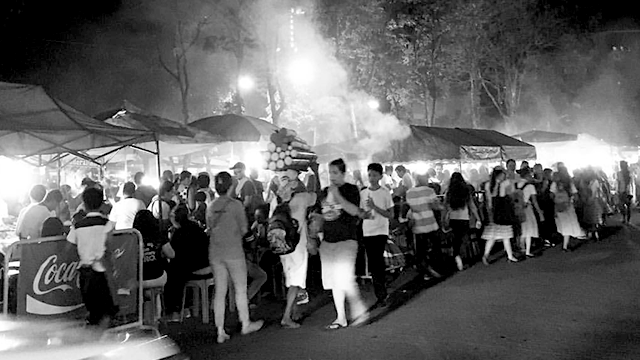 The popular night market is known to locals for its street food and delicacies, ukay-ukay and accessories stalls, and various leisure and pampering stalls such as those for massages. On Monday, September 5, the mayor’s office announced that it is offering a bounty of Php 1 million to anyone who can inform the authorities on where is the person behind the bombing that killed 14 people and injured more than 60 civilians. Another Php 1 million will be given to anyone that can bring in the suspected bomber to local police.